Hi there, gorgeous. How *you* doing? 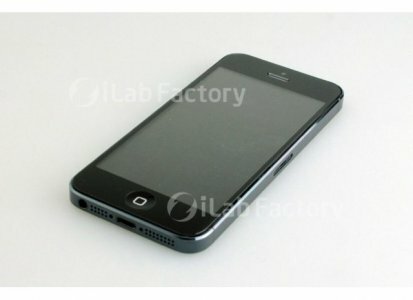 My iPhone 3GS is definitely, without a shadow of a doubt, one of the best birthday gifts I’ve decided to buy for myself. Since 16 December 2009, my iPhone has become the equivalent of my lover/personal assistant/entertainer. I sleep with the phone on my bed and I carry it to the toilet all the time. It’s my alarm clock, my GPS, the gateway to all my email inboxes, my language translator, my dictionary, my weather report, my social and business calendars, my eBook reader, the place to book a cab, my games centre, the door to my social networks, an outlet for text messaging (a lot of it), a mini tablet for all my web surfing, and sometimes, an actual device I use to pick up actual phone calls to actual human beings. It’s the best purchase I’ve ever made. And I can’t wait to get the iPhone 5 next! It’s way overdue. So whether it’s out in September or only available in October, I really can’t wait and I will get one by hook or by crook. After which, I will restore the iPhone 3GS to its rightful place — in its original box and to be revered throughout the ages. I’ve dropped my iPhone 3GS countless times and thankfully I have always used screen protectors and thick phone casings. Although I did drop it without the casing once, it was still functioning, albeit very slowly. So I’ve concluded that it’s one of the most sturdiest mobile devices ever. I have bought only three to four screen protectors and three or four phone casings for this iPhone, which means I have probably spent less than $300 on phone accessories. But I do think it’s on its last legs now. The phone casing has shattered on its last drop early this month. My phone looks like a war veteran now. That’s why I can’t wait to get my next iPhone. Meanwhile, I have been perusing the web for all the latest rumours I can get on iPhone 5. Apple has been part of my life for nearly three years and it has become the technological equivalent of my best friend. It’s now a permanent part of my life that I can’t imagine not owning one ever again. Like what I’ve always told other mobile phone users and those Blackberry owners, once you go iPhone, you can never go back, because you wouldn’t want to. And so far, every phone user I’ve converted in the past three years agreed with me. I can’t help being such an persuasive influencer. Hahaha! P/S: You know what, I wouldn’t mind getting the mini iPad if it was launched around the same time too. I think I’m due a birthday splurge.